Home/Dinosaur and Prehistoric Animal News Stories, Dinosaur Fans, Main Page/Why So Many Large Predators in Cretaceous Africa? Why So Many Large Predators in Cretaceous Africa? In the autumn of 2011, the BBC aired a new CGI-based dinosaur television series called “Planet Dinosaur”. The first episode of this documentary series was entitled “Lost World” and focused on the remarkable fossil discoveries from Africa which shed light on ecosystems that seemed to be dominated by hypercarnivores (animals that have a diet that consists of more than 70 percent meat). Viewers were introduced to giant meat-eating dinosaurs such as Carcharodontosaurus (C. saharicus) and the abelisaurid Rugops (R. primus) as well as super-sized, ancient crocodiles such as Sarcosuchus (S. imperator). One of the questions posed in the television episode, was how could all these large predators co-exist? Thanks to some fascinating research involving the study of vertebrate teeth from two famous African fossil deposits, scientists have been able to come with an answer. The documentary series highlighted the latest research on the Theropod Spinosaurus. A study of calcium isotopes in fossil teeth suggests that some large, carnivorous Theropods (carcharodontosaurids and abelisaurids) preferred to hunt terrestrial prey such as herbivorous dinosaurs, whilst others such as spinosaurids were mainly fish-eaters (piscivores). The giant crocodile Sarcosuchus had a diet somewhere in between, consuming both terrestrial and aquatic prey. Writing in the journal “The Proceedings of the Royal Society B (Biology)”, the researchers studied calcium in fossil remains from the famous Kem Kem deposits of Morocco and the Gadoufaoua deposits of Niger. The research was conducted by the Laboratoire de géologie de Lyon : Terre, planètes et environnement (CNRS/ENS de Lyon/Claude Bernard Lyon 1 University), in partnership with the Centre for Research on Palaeobiodiversity and Palaeoenvironments (CNRS/French National Museum of Natural History/Sorbonne University). 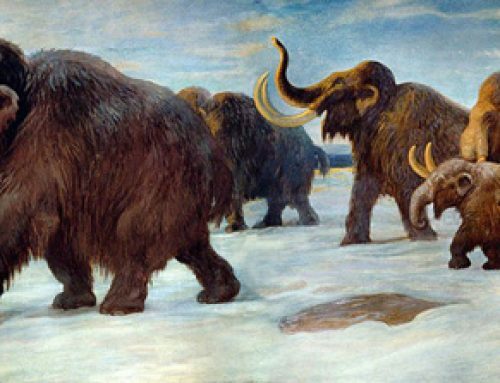 The team set out to try and understand why there were comparatively few herbivores recorded compared to the number of large carnivores represented in the fossil material. The French scientists examined the vertebrate fossils from the Gadoufaoua region of central Niger (part of the Elrhaz Formation, which dates from the Late Aptian to Early Albian stages of the Early Cretaceous). These fossils represent a flood plain ecosystem that existed some 115-112 million years ago. Vertebrate fossils from the geologically younger Kem Kem Beds of south-eastern Morocco were also studied. The Kem Kem deposits, sometimes referred to as the Continental Red Beds, because of the abundance of red sandstone sediments, are difficult to interpret due to the amount of mixing of fossil material and re-deposition. Dinosaur fossils from this locality are approximately 100 million years old (Cenomanian faunal stage of the Late Cretaceous). The two sites are characterised by the overabundance of predators compared to herbivorous dinosaurs and to determine why, the researchers measured the proportions of different calcium isotopes in the fossilised remains (fish scales and tooth enamel). Teeth from vertebrates represented by mid Cretaceous fossil material (Kem Kem and Gadoufaoua deposits). Scale bar = 2 cm. The picture above shows examples of various vertebrate teeth associated with the Gadoufaoua deposit. From left to right Sarcosuchus imperator (giant crocodile), a tooth from an indeterminate spinosaurid, a tooth from a non-spinosaurid Theropod (abelisaurid or carcharodontosaurid), a pterosaur tooth, a tooth from a hadrosaurid dinosaur (herbivore), the rounded and flattened tooth associated with a pycnodont (fish) and the tooth of a small crocodylomorph. Among vertebrates, calcium is almost exclusively derived from food. By comparing the isotopic composition of potential prey (fish and herbivores), with that of the teeth of carnivores, it is possible to map the probable diet of those meat-eaters. The researchers found that the data from the two locations showed similar results. Some large, meat-eating dinosaurs such as the carcharodontosaurids and the abelisaurids preferred to hunt terrestrial prey, whilst spinosaurids displayed a very distinctive isotopic signature indicating a marked preference for aquatic prey (fish). Sarcosuchus, on the other hand, may have been more of a generalist. Calcium isotope data showed that these large crocodiles fed on terrestrial as well as aquatic animals. The huge skull of Sarcosuchus – a giant crocodile that preyed on terrestrial as well as aquatic prey. This study suggests that predators avoided direct competition by sharing food resources. The distinctive taxonomic clustering in calcium isotope values recorded by the French researchers strongly supports the idea of niche partitioning, that is, different types of carnivore used the resources in the environment differently which enabled them all to co-exist. The calcium isotope measurements allow palaeontologists to examine feeding evidence across a food chain within an ecosystem. This research, if applied elsewhere, such as within other fossil Lagerstätte, may permit clarification of food chain roles and niche partitioning within numerous ancient palaeoenvironments. The scientific paper: “Calcium Isotopes offer Clues on Resource Partitioning among Cretaceous Predatory Dinosaurs” by A. Hassler, J. E. Martin, R. Amiot, T. Tacail, F. Arnaud Godet, R. Allain, V. Balter published in The Proceedings of the Royal Society B.